What’s your favorite Christmas memory? Close your eyes for a second and think…I’m sure hundreds of wonderful thoughts are filling your mind right now. Christmas was always a magical time for me. I loved the hectic cleaning and feverish cooking. My mom would stay up till who knows how late to make our favorite dishes. I had the responsibility of making homemade decorations for the tree and my dad was always in charge of frying the fish. No one was ever able to do it better than him. I loved the smell of a freshly cut pine tree, and a sparkling clean home mixed with smells of home-baked pastries. Year after year we would go though the same litany of activities. I knew I could always count on eating the same delicious dishes. Our table would always have an extra set of plates set for an unexpected guest, and we would always break the bread and have a communion time as a family. There was never, that I can remember, a big emphasis on gifts. Yes, we’d always get a few things under the tree, but it was unheard of to spend more than your budget could handle. Years later, having two young boys myself, the memories of Christmas and the traditions from my childhood are as vivid as ever. I can’t remember too many gifts I received (except for my first pair of ice skates) but the legacy of those family traditions will stay with me forever. When we started our own family, my husband and I decided that creating a Christmas legacy for our boys would be more important than gifts. We wanted them to have the same fond memories that they could pass on to their children. Routine is often thought of as boring, but I think there is something special and even sacred about the Christmas routine. As Christmas approaches I catch myself wishing that my sons could, just once, experience my childhood Christmas routine. So even though we can’t go back in time, with a little work and creativity, we decided to bring back some of those special memories and moments. I know that if we do them year over year, our children will inherit a rich Christmas legacy! So here we are, mixing my traditional Polish dishes with David’s Guatemalan tamales as the staple food at our Christmas Eve dinner table; we break the bread with friends and family; we invite friends who have no family around to be part of our Christmas routine. The house is a mess, but oh how we love it! And yes, we do leave cookies and milk for “Santa” and wake up at the crack of dawn to see if we’ve been good enough this year to receive gifts. 1. Sit down with your spouse and talk about some of the most memorable Christmas moments from both of your childhoods. Jot those down on a piece of paper and see what you can adopt as a family. Picking meaningful traditions from both of your backgrounds will make it that much more special. If you don’t have too many fond memories, that’s ok. Just think of what you would have liked to experience as a child and start this new tradition with your family and children. 2. Dust off some old family recipes and incorporate them into your “must have” Christmas menu list. Is there a favorite cookie your mom used to make? Maybe you loved a dish that your grandmother or your aunt used to cook. Whatever the dish, bring it back to your dinner table and tell your children why it’s so special. You may want to start a Christmas recipe book that you could, one day, pass on to your children. 3. Start off your Christmas morning with reading the Christmas story. If you have multiple kids and cousins getting together, they could even act it out! 4. How about incorporating gratefulness into your Christmas routine? Ask each person to tell what he or she is most grateful for or ask them to say something kind about a family member. 5. Keeping memories alive is a great way to pass on the Christmas legacy. 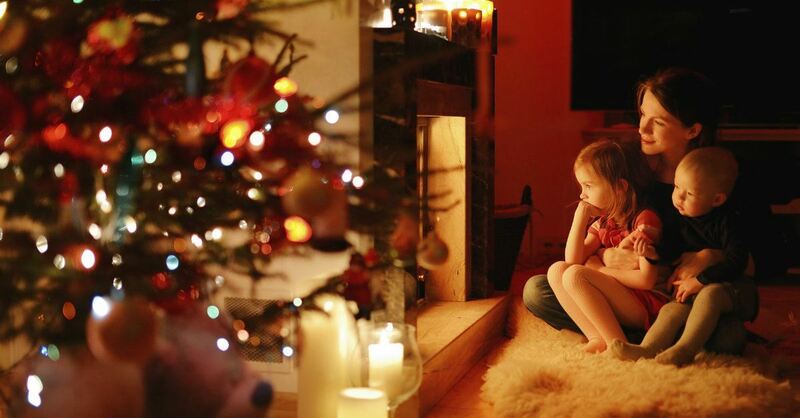 Spend some time recounting your most memorable childhood Christmas traditions. Children love hearing stories of the past, and when they hear them year over year, they’ll begin to treasure those memories as if they were their own! As you can see, there are so many creative ways to create and pass on a wonderful Christmas legacy to your children. So in this hectic season of buying and “deal” hunting, take a few moments to think about what kind of Christmas legacy you’d like to leave your children. Then, go and make it happen this Christmas season! Megan Pacheco comes with 13 years of experience in the area of personal finances and her tips on budgeting, debt, saving, giving, money and marriage and more have been published by Yahoo Finance, AllParenting, FoxBusiness, DailyFinance, REDBOOK and others.